Poppy seeds are an excellent source B-complex vitamins such as thiamin, pantothenic acid, pyridoxine, riboflavin, niacin, and folic acid. 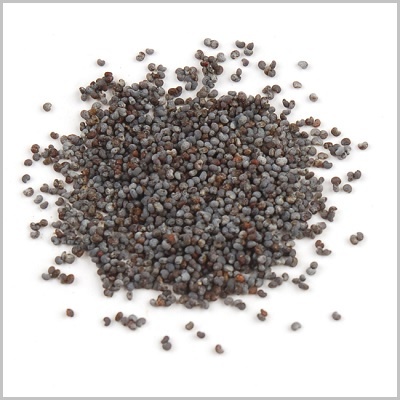 Poppy seeds are rich in iron, copper, calcium, potassium, manganese, zinc and magnesium. Copper utilized in the production of red blood cells. Zinc is a co-factor in many enzymes that regulate growth and development, sperm generation, digestion and nucleic acid synthesis. Potassium is an important component of cell and body fluids that helps controlling heart rate and blood pressure. The human body uses manganese as a cofactor for the important antioxidant enzyme, superoxide dismutase.